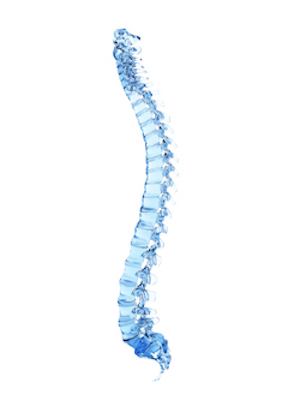 Each year on October 16th, people celebrate World Spine Day in countries around the world. The event takes place during The Bone and Joint Decade’s annual Action Week. The Bone and Joint Decade is a global alliance for musculoskeletal health that aims to improve quality of life by implementing effective prevention and treatment for spinal conditions through its unified voice and global reach. The theme of this year’s World Spine Day is “Straighten Up and Move”, emphasizing the importance of proper posture and movement in maintaining good spinal health. With improper movement and posture leading to the development of many spinal disorders, the event raises awareness about the easy ways of changing your posture or performing safe movements. The theme promotes body awareness and hopes to reduce the day-to-day wear and tear on people’s spines. With World Spine Day serving as an international event, the team behind it analyzed data from around the world to determine the status of spine health in different countries. The facts that they came up with are startling. The Global Burden of Disease Study, published in The Lancet in 2012, states that over 630 million people worldwide suffer from back pain. With the amount of effective preventative interventions, medications, and surgical options, this number should be much lower. World Spine Day aims to promote these figures to show governments around the world that back pain can be controlled if resources are given to ensure access to the different interventions available. Conservative methods for preventing back pain can be very effective. Spine surgeons always recommend that their patients attempt all forms of conservative care before resorting to surgery. Through this campaign and attempt to raise awareness, it is important to understand the non-invasive, non-medical changes that you can make to your daily activities that can prevent future pain. Exercising: Getting more active increases the blood flow to the area of your back that is experiencing pain. Though exercise might be difficult if the pain is debilitating, it can often improve symptoms by promoting healing in the damaged area. Strengthening the muscles in your back also stabilizes the damaged areas, making them less likely to move around. Chiropractic Manipulation: Chiropractors are trained to realign the spine after an injury or if a degenerated disc is causing pain. Adjustments are a safe, non-invasive method of getting the spine back to proper functioning. Lifting Properly: Though strictly a preventative measure, it is vitally important for patients, especially those involved in jobs that require lifting frequently. When lifting, keep your feet shoulder width apart, and bend with the knees and hips only. Epidural Steroid Injection: When herniated discs or spinal stenosis cause pain, epidural injections can be helpful to treat the associated discomfort caused by the nerve irritation. The injections reduce pressure that is causing pain and also minimize inflammation. Dr. Jonathan Lewin, board certified orthopedic surgeon, is experienced in managing back pain with a range of methods. If you have recurring back pain and are looking for more advice about how to treat it with non-invasive or minimally invasive methods, call 201-510-3777 to schedule a consultation.